PEACEFUL SPIRIT RIVER FLOWAGE HOME offers every amenity with the best lake views ever! 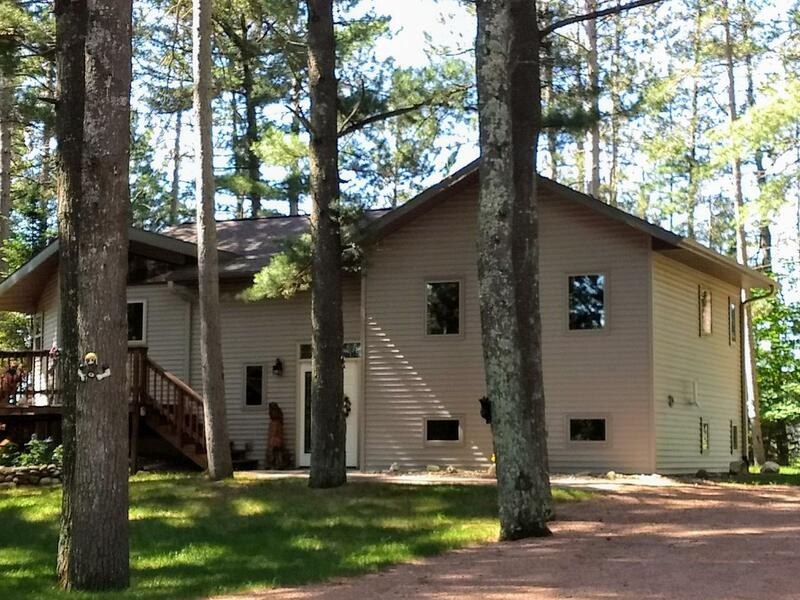 Completely remodeled home with new addition 8 years ago which added a lakeside master bedroom with walk in closet and bath plus lower bedroom, closet, laundry, new windows, septic and garage. Rustic hickory kitchen cabinetry, new appliances and wood fireplace in great room. Wrap around deck. New shingles on entire home and garage. Every window has wonderful views of the trees, island and your own piece of paradise. 30 X 26 garage has lots of room for the necessities of lake living. Even exterior stereo speakers and an 8x12 shed.